**** The section below is for Mobile only! I am Ryan Elizabeth Ward, originally from the South but currently based out of Fort Leavenworth, Kansas. 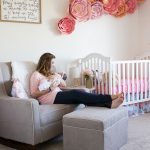 I’m a lover of lifestyle sessions & natural light — focusing on maternity, newborns, families, and military photography. In the South, we do laughter, love, and a little bit of crazy! I like to bring that same energy into the work I do and the photo sessions I am invited to be part of. Life is full of moments and seasons that pass all too quickly. One of my greatest joys is capturing those moments–big and small–for the families and individuals with whom I work. Every family has a story to tell and when given the opportunity it is my privilege to help tell it. 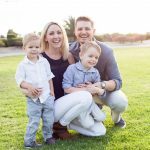 An investment in capturing moments with your family is an investment in your memories, and I’d be honored to chat with you about your photography needs. 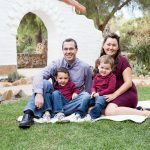 I love to get to know the families that I work with – what is important to you, what your vision is for your session, what time in your life you are excited to document. 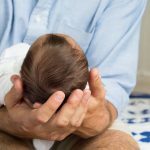 When you look back on your images, I want you to remember how your little one’s hand fit in yours, the laughter shared between your children, those perfect newborn features of your newest addition, or those first days as a new family. When you schedule your session with me, I look forward to sitting down with you to discuss what you are hoping to document during our time together. I am happy to help with planning a location and style to fit your personality. Sessions are typically 1-2 hours depending on the session type and your investment will also include 15 edited, high-resolution images which will be sent to you in a private collection. I am based in Leavenworth, Kansas, but I am available for travel in the greater Kansas City area! **** The section below is for Desktop only! Going into a family photo session was stressful! I stressed about the outfits, the location, weather, you name it! Ryan came highly recommended by several friends and I was praying she could ease some of that stress. All of my stress dissipated the second we started chatting about what to wear, how she would gracefully guide our toddler through the session, and capture some of our last moments with our dog that was passing away from cancer. Ryan is the quintessential family photographer! Kind, energetic, creative, thoughtful, and amazing, anyone would be silly not to choose her! Ryan took our newborn and family pictures earlier this year. I wanted family pictures, as well as some of our three children, 5, 3, and one week. Our children were less than cooperative but you wouldn't know by the beautiful pictures! Ryan was so patient and accommodating to ensure we were pleased with the photos. 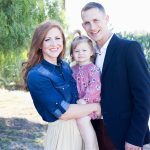 It was completely stress free and enjoyable for us, and I'd recommend her to anyone looking for a family photographer. 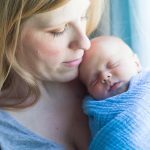 A friend of mine recommended Ryan Elizabeth Ward Photography after Ryan captured her newborn photos. I'm so glad she did! Ryan came to our home shortly after our son was born for a newborn photo session. She was able to capture all of the photos I wanted and more! I highly recommend her to anyone wanting beautiful photos of those special moments in our lives. We recently took maternity and newborn photos with Ryan. Our family found her to be professional, friendly, and very patient with our three young boys. And most importantly, the quality of her work was second to none! The photos turned out great and it was a wonderful experience for us! Ryan was recommended to us by a friend and I couldn't be happier with our session and the amazing photographs we received! She was so accommodating with our schedule, and was ready and willing to get down and roll around in the dirt with the boys to get the greatest shots. They loved her and so do we -- she is the best! There is no one quite like Ryan Ward. After bringing our baby girl into the world we were looking forward to capturing her first moments with a special photographer. Her professionalism is unlike any other--prompt with responses, open to ideas and knows how to make her clients feel comfortable in front of the camera. 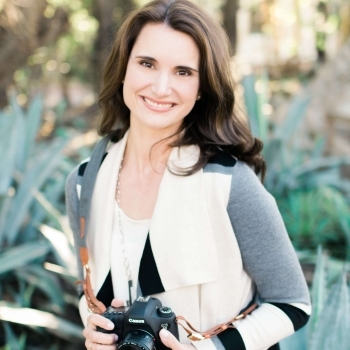 She is so talented at lifestyle photography, it makes the experience feel natural. Ryan has one of the biggest hearts of anyone I've ever had the pleasure of working with and my husband and I are so honored to have had her capture those moments of us as a brand new family of three. I'll treasure the photographs, for they capture the innocence of a newborn and the joy of a husband and wife watching one another be parents. 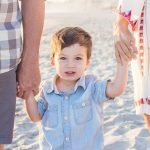 When my husband and I decided to have a family photo shoot at our favorite beach last fall we knew we wanted to hire Ryan Ward for the job! We loved that she researched the sunset time and planned with us accordingly so that we would be guaranteed those awesome sunset shots! She showed up completely prepared and even had her “bag of tricks” which included a few adorable props for our two year old son to use (and to keep occupied with) such as a large starfish and an oversized galvanized bucket. She worked efficiently and was a lot of fun to be around! We received our portal with our final photos shortly after the shoot and we couldn’t have been happier with how perfectly she captured our little family. We would highly recommend Ryan to anyone needing family photo shoots of any kind! We will forever have memories captured of our family at our favorite San Clemente beach thanks to her!